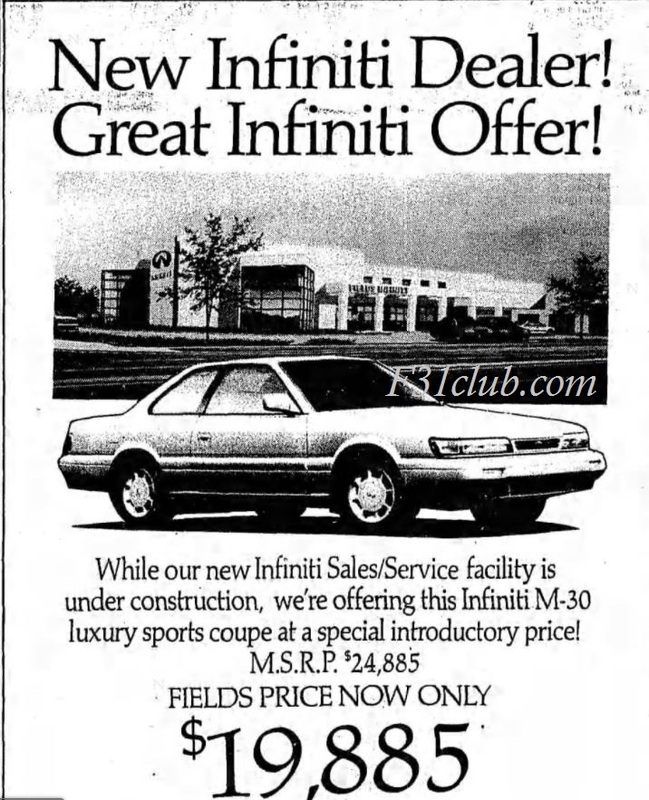 As I was rebuilding the forums, I came across a ton of old ads (150 so far) from when the M30 was being offered. 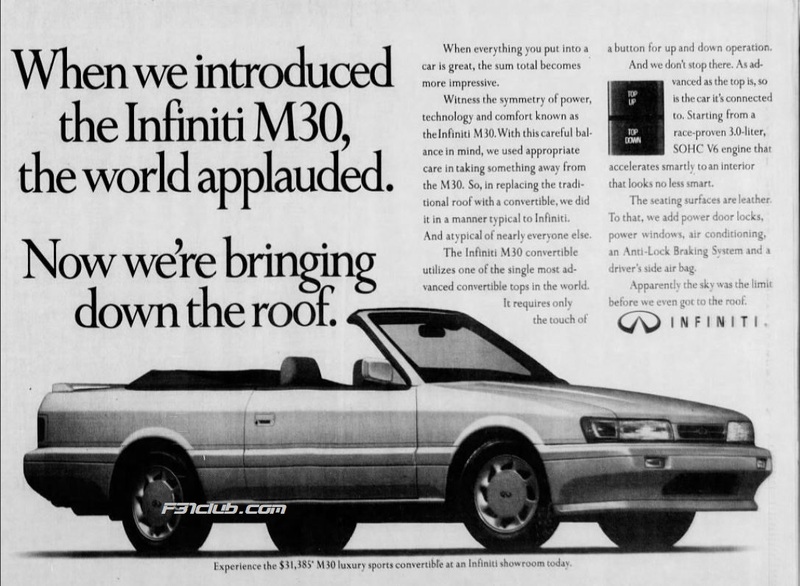 Many advertising the sales, but also many small articles about the release of the M30, some of the critics of the M30 and those weird Infiniti commercials and of the convertible. Yes, this isn’t as cool as swaps and drifting. This is also about the history of the Infiniti M30. F31club isn’t just swaps and drifting. While those are included, I’ve always been on side missions trying to uncover historic items and articles not just about the Infiniti M30, but also the Nissan Leopard. I’ve posted just a few on IG, but the articles are more of teasers. This entry was posted in blog, history, magazines, Owners, review and tagged ad, buy and sell, newspaper.